Stay ahead of the curve with these low cut cotton socks! 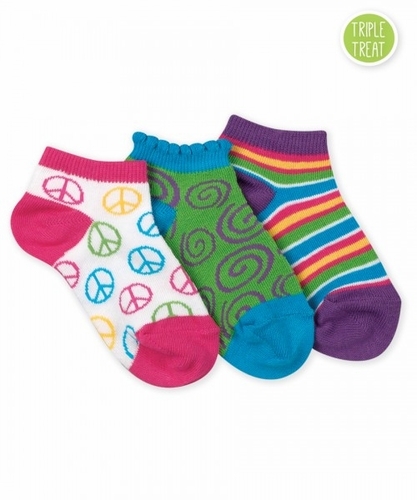 Choose from peace signs, swirls, or stripes! Price shown contains 3 pair. You get one pair of each pattern shown. Copyright © 2010-2018 socksinstock.com All Rights Reserved.